Limited Availability! 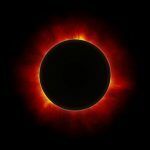 Don’t miss the first total solar eclipse to cross the continental U.S. since 1979! Join our bus tour from Nebraska and experience this once-in-a-lifetime event as we travel to Pawnee City, Nebraska, where the moon will appear to completely block out the sun. Special eclipse eye-wear included! Click the picture for details! This entry was posted in Latest Tours and tagged bus tour, bus tour from Nebraska, total solar eclipse on July 7, 2017 by Moostash Joe Tours.